Board of Trustees 2016 – Election Results | NERCOMP, Inc. The NERCOMP election is complete and the results are in. 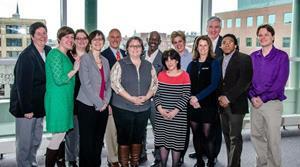 The new Board will commence its work in March beginning at the NERCOMP Annual Conference. The full list of Board members for 2015-2016 can be found on the website, which will be updated by end of March 2016 to include the newly elected and appointed members. If you have any questions, please send email to nercomp@nercomp,.org or call 860-345-2081. Thank you to those who took the time to vote and we hope to see many of you at the NERCOMP Annual Conference, March 21st – March 23rd in Providence, RI.